The Herringbone Cocktail Club is the ultimate roaming band. Unlike most acts of this nature they come with a fully wireless technology. They can play through either a portable PA, which we can be positioned outside for a drinks reception for example, or they can plug into a larger system for coverage over a larger event. What this means is that you get all of the fun and interaction of a roaming band but with the even coverage and volume that a larger venue often needs. 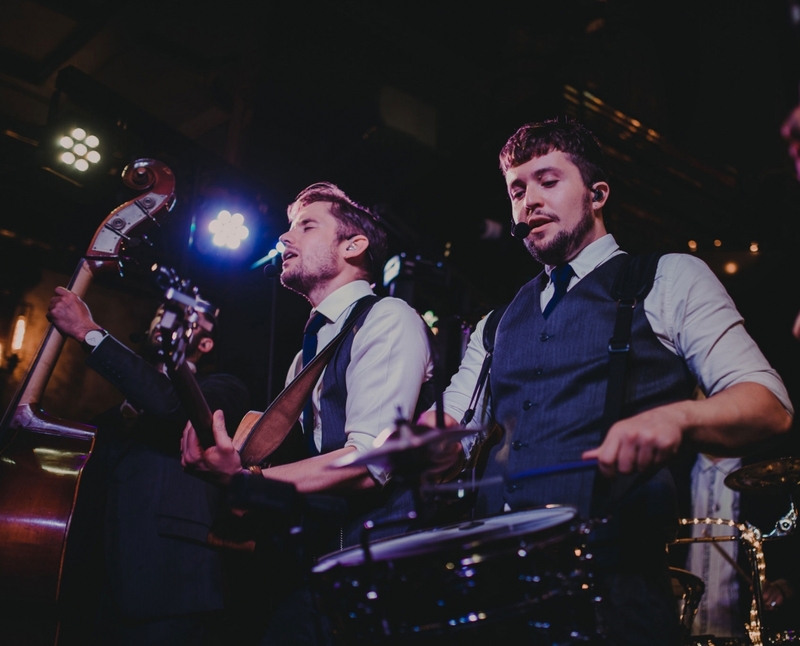 They can either move around your guests as they eat their dinner for example but with a small amount of the band’s sound coming through a PA positioned across the whole event. 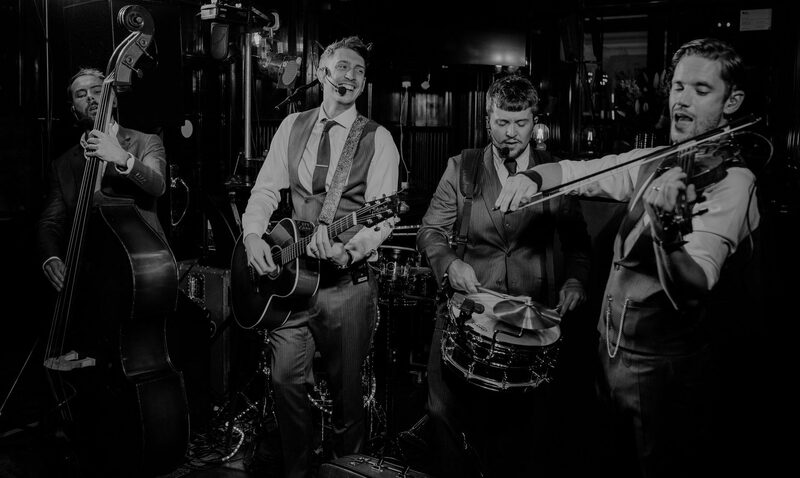 Or if you want they can be the party band later in the evening that actually parties with you and your guests on the dance floor! Musically, think playful gypsy style mashups with four – part harmonies of Drake and Bob Marley, or an intricately woven UK garage medley. The Herringbone Cocktail Club is guaranteed to leave your guests wanting more. "Halfway through dessert and three songs in, all of our guests were on the dance floor!" "What can I say, The Herringbone Cocktail Club were amazing." "We couldn't recommend these guys more highly if you want a good party!"